The Candlelight Processional at Epcot is the highlight of all of the Holiday activities and events at Disney World each year. A celebrity narrator is joined in the Americas Garden Theatre by a full orchestra and a choir to retell the Christmas Story each night from Nov 27 - Dec 30. The 2015 lineup of Crlebrity Narrators include returning favorites such as Neil Patrick Harris, Gary Sinese, whooping Goldberg, and Amy Grant. Newcomers this year will include: Meredith Vieira, America Ferrera, and Chandra Wilson. Showtimes are 5 p.m., 6:45 p.m and 8:15 p.m. nightly. 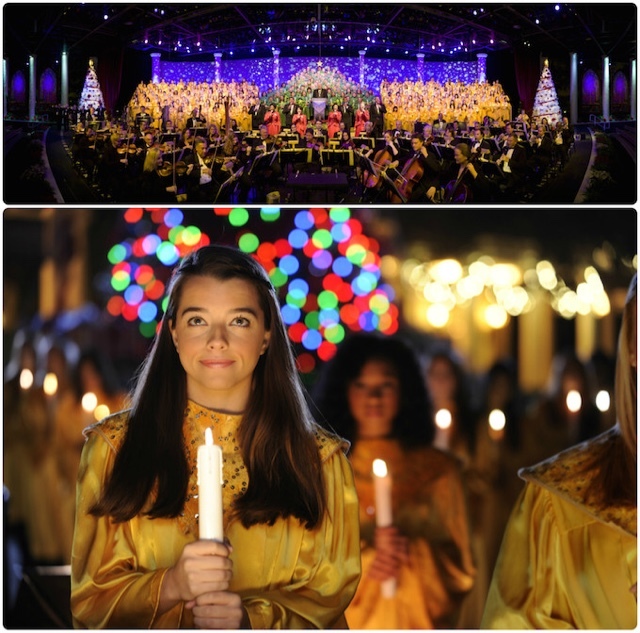 Showtimes on Dec. 6 are 6:45 p.m.and 8:15 p.m.
0 comments to "Updated Narrator Lineup for 2015 Candlelight Processional at Epcot"